Heal, relax, bond, with Mum and Baby Yoga. Being a new mum is a truly special time, but it’s also a demanding time. 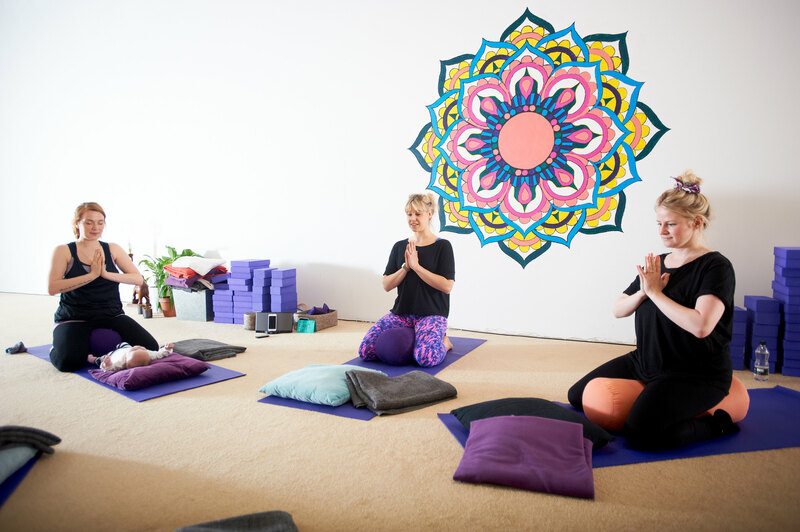 At Mum and Baby Yoga at Yoga Hero; we aim to give you this healing and relaxation time in our Mum and Baby Yoga classes; giving you some very special bonding time, and a chance to meet other new mums too! Enjoy an equal split of yoga between mum and baby, suitable for all levels of fitness. No prior yoga knowledge or experience is needed, all are very welcome! Re-build muscle and work on flexibility safely, mindful of all that your body has been through, and all the hormones that will affect strength and flexibility as your body changes. Mum and Baby Yoga is perfect for all mums and babies up to about crawling stage. Babies who are crawling are welcome, we just recommend pre-crawling so that you can relax and enjoy rather than scooting around after your moving munchkin!